A row has broken out over a soap character's decision to throw in his A-levels and a place at Oxford University. Coronation Street character Todd Grimshaw is a bright teenager who walked out of his A-level exams after breaking up with his on-screen girlfriend Sarah-Louise Platt. The teenage mum had told him she would not follow him to Oxford if he took up his place at the university. Now people involved in trying to get more children from poorer backgrounds to apply to university say they are disappointed with the storyline because of the message it gives to children. A recent survey suggested that soaps were the most popular programmes among children. The Sutton Trust is a charity which tries to encourage children to reach their potential. Spokesman Tim Devlin said: "Todd is exactly the kind of student which the Sutton Trust was set up to help. "It is a pity that he did not attend one of the week long summer schools which we sponsor at Oxbridge and other universities to encourage students from non-privileged backgrounds to go to our leading universities. "Todd should not throw away the chance of a life-time. Let's hope that even at this late stage he will persevere and be persuaded by his head teacher to see sense and put his love life on hold." In the soap, Todd got excellent GCSE results and was predicted to get four grade As at A-level. Former soap teacher Ken Barlow, one of the few Coronation Street characters ever to get to university, is now trying to persuade him to sit his remaining A-level papers and not throw away his chances. Back in March the actors who play Todd and Sarah Louise lent their support to an education campaign run by Manchester City Council designed to encourage 15 and 16 year olds to work hard at school. They spoke to hundreds of teenagers about how valuable education is in widening the choices you have in life. Oxford University says it is trying hard to encourage applications from teenagers such as the fictional Todd. With Cambridge, it has held five regional conferences across the UK to widen interest in applying to Oxbridge. 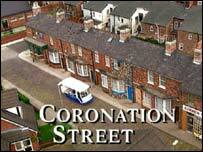 About 2,000 students turned up for a conference held in Manchester, the home of Coronation Street. Paul Tulon, Oxford University's schools and colleges liaison officer said he was pleased that a character from the soap had applied to Oxford in the first place. "The encouraging thing was that he did apply and was offered a conditional place," he said. He said the university was trying to give more information to pupils about the application process on a new website and aims to support them when they do apply. Few soap characters go on to university, although there have been a few exceptions, such as Coronation Street intellectual Ken Barlow, Brookside's Nicky Shadwick and Michelle Fowler from Eastenders. TV pundits say this is because soap writers want to keep their strong characters in the soap's normal territory. Letting characters go to universities away from their home towns means they are lost to the series for much of the year. A spokeswoman for Granada, the makers of Coronation Street, said the writers had been careful to have people around Todd pointing out that he was making the wrong decision. She said he could decide to re-take his A-levels. "There have been people around Todd, like his mother and Ken, who are making it clear that it is the wrong decision," she said.